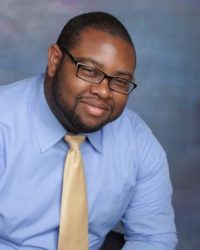 Ralston founded Strive Academics shortly after graduating from Emory University because he saw a great need for more affordable, personalized, quality tutoring. He has always been passionate about education and began tutoring in 2011 as one of Emory University's foreign language tutors. Since then, he has personally tutored students of all ages in over 50 academic subjects and standardized tests. In this time, he has also worked with early childhood education programs like Jumpstart and has volunteered his time to tutor for other non-profits in the Atlanta area. We're passionate about education and community! We want to see your student succeed, and we work hard to make sure that happens. Our tutors are some of the best in Atlanta who go through a rigorous interview process including background checks and tough academic standards. Our tutoring coordinators are there to match you with the best tutor(s) for your needs and make sure that you have a great experience. On top of that, we all care about giving back. We believe that communities are an important part of fostering academic excellence. Strive Academics connects you with experienced tutors to provide personalized, one-on-one tutoring. Your tutor is there to help your student reach his or her full potential. Tutors reinforce basic concepts, help your student get ahead, and are able to work around your schedule. Our team is here to support you in reaching your academic goals. We will help you access your needs and match you with the tutor who is right for you. Our tutoring coordinators are there to elevate your experience and make sure your student prospers.